For those of you that are familiar with the project ideas lists in Microsoft’s PPM PWA application you might want to skip this first paragraph. 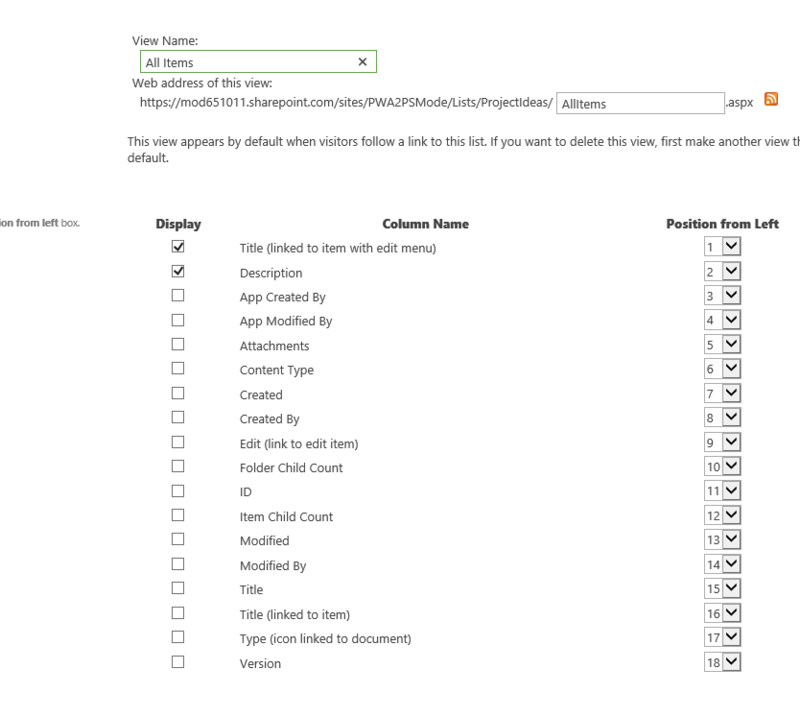 Any list you create in the PWA site collection at the top level you will see a button Create Projects, if you are not familiar with this feature take a look at this blog post: https://pwmather.wordpress.com/2012/12/13/creating-and-adding-projects-to-projectserver-2013-ps2013-sp2013-office365-part-1/. 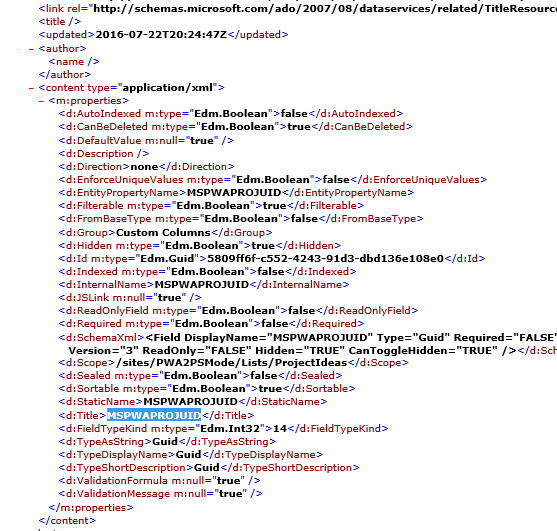 The purpose of this post isn’t to revisit that feature, this post covers getting access to some of the data on that list that is hidden from the views and creating an enhanced view for the Project Ideas type list. 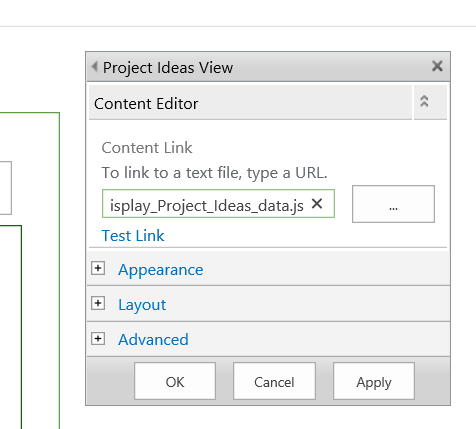 I have made the Item Title clickable to open the list item in a new window and where an idea item has been converted into a project, the Project GUID is a clickable link to the view the project. This opens the schedule Project Detail Page. The columns are sortable, by default it is sorted by Item ID, to change this use the arrows in the table column heading. As you can see, I don’t have much data on my test system and only one idea has been created into a project. Click Apply then OK and the data should load if the listName variable is correct. You can then add a link to the new page from the PWA quick launch if needed. A nice simple solution that provides more functionality than the standard SharePoint view.